A three-time National League Cy Young Award winner will take the mound for the Tulsa Drillers Tuesday night at ONEOK Field. 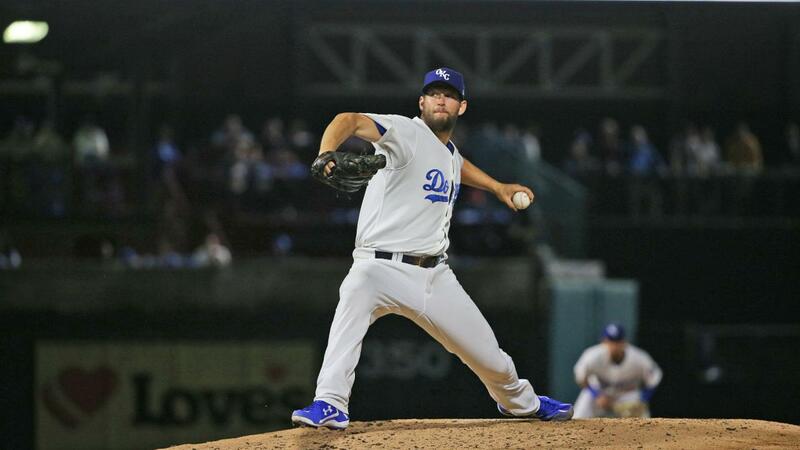 The Los Angeles Dodgers announced today that Clayton Kershaw will make an injury-rehabilitation appearance with the Drillers on Tuesday as he recovers from shoulder inflammation. The lefthander, who has posted 153 wins with a 2.39 ERA in 11 big league seasons with the Dodgers, will start the game against the Springfield Cardinals. Last week, in a rehab assignment with the Triple-A Oklahoma City Dodgers, he threw 61 pitches in 4 1/3 innings. It is expected that his pitch count will increase for Tuesday's outing in Tulsa. Kershaw will be one of the highest profile major leaguers to ever make an appearance for the Drillers. But, it will not be the first time that a star, Dodgers pitcher has played in Tulsa. During the 1991 season, Fernando Valenzuela pitched for the Midland Angels against Tulsa in front of 11,450 fans at old Drillers Stadium. Valenzuela was pitching in the minors before joining the California Angels later that season.